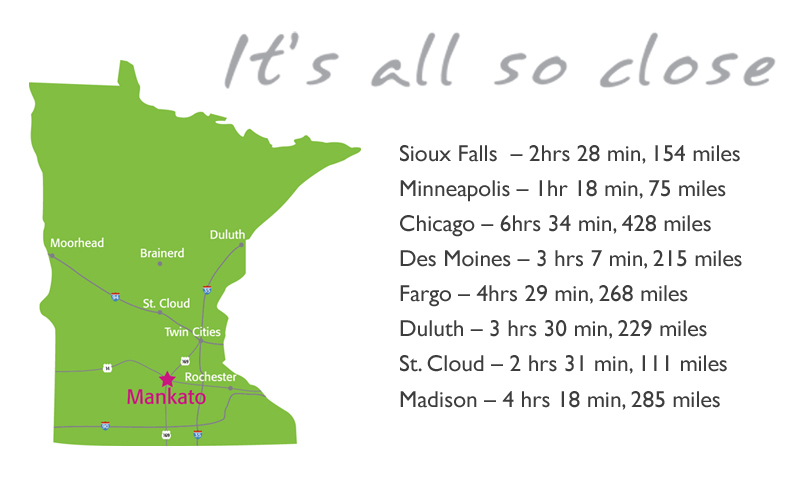 Mankato is just a short 75 minutes from Minneapolis. Just one of our many assets is our accessibility. By land or by air, we are easy to get to. The Mankato Regional Airport offers chartered flight services and commercial flights are available just a short drive to the Minneapolis-St. Paul International Airport.